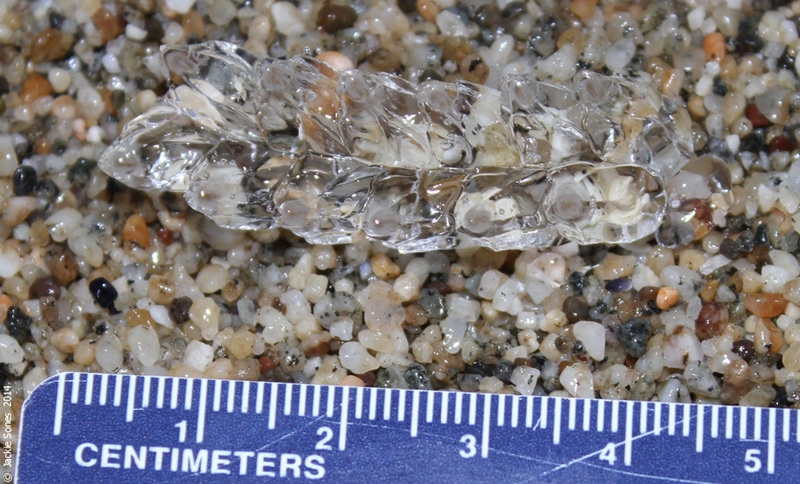 Thousands of salps -- Thalia democratica -- washing ashore on Bodega Head and Salmon Creek Beach in Bodega Bay, California. Also present -- Velella velella, Chrysaora fuscescens, Aurelia sp., and one siphonophore (Diphyes dispar). Seawater temperature very warm for this area -- 17.5 C (63.5 F). Thanks for the diverse report!